Patty Griffin (with two very good supporting musicians) at the very adorable Music Hall in Portsmouth, NH. I've listened to her music for nigh-on 20 years but hadn't seen her live. She was quite excellent. She's touring to promote a new album, it appears. Based on the tunes from it that she played last night, it seems like it's pretty good. If she ambles through a locale near you, I'd encourage you to check her out! 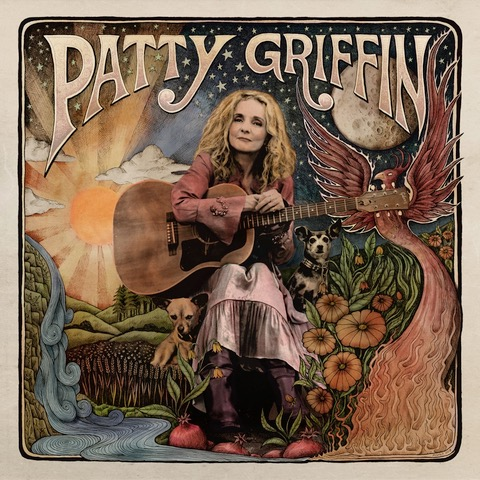 Know of Patty Griffin but not her music. Just looked her up and listened to a few songs. Nice...thanks for the recommendation. I lived for a short while in the Portsmouth area (Pease AFB, Gonic and Dover to be exact). The Music Hall was a great venue. Also, enjoyed the Press Room for food and libations. Used to take my daughter to York Beach, just north of Portsmouth, and I learned to scuba dive under the Nubble Lighthouse. Seen her twice, once in Dallas and once in Waco to kick off her tour a couple years ago (she lives in Austin). First show was the downtown church tour with buddy miller. Great songs, band was incredible (just a drummer and upright bass and buddy joined in electric for a couple tunes). I was in the balcony at the house of blues, and the sound SUCKED. I was so mad. I couldn’t even follow the bass line everything was so muddled. Then in Waco she had the B team, brand new band first stop on the tour. It was disappointing, but I least the sound was better so I could hear my disappointment. And I think that was the silver bell tour, and I just didn’t love that album. I will give the new album a shot on tidal and if I like it I’ll see when sees coming through. If the bands good I might get to see here right here on campus. Sound was pretty good at the venue where we saw her (them) and her supporting musicians were terrific. She is, of course, a born and bred Mainiac (from Old Town, ME)ol and she talked a bit about her life there between songs. I liked her live better than I have enjoyed her recordings, in retrospect.